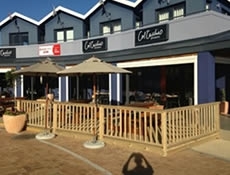 Sirocco has without question the best location of any restaurants in Knysna. Situated right on the waters edge serving Sushi, Salads, Pizza’s, Pastas, Seafood, Steaks and great cocktails you will be sure to find exactly what you are looking for. Try getting a table on the Waterside Deck. Sirocco, situated on the water’s edge of the trendy Thesen Harbour Town, is evocatively named after the warm wind that blows across the Mediterranean. A vibey lunch and dinner time venue, a meeting place for those who appreciate relaxed sophistication, cutting edge design, friendly service and great food. The romantic ambiance is created by clever lighting and plush seating, set in a variety of green hues from lime to olive. 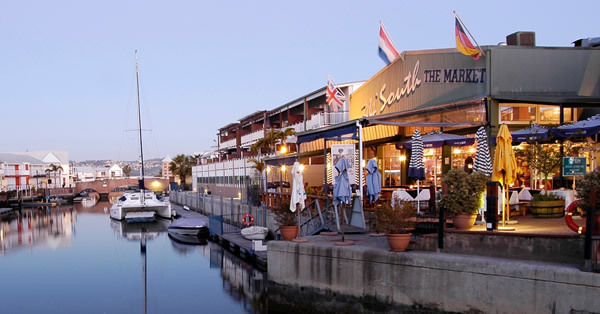 34 South is a waterfront restaurant situated in the Knysna Quays. We sell fresh oysters, have an extensive menu including seafood, bake our own bread, have a wine shop deli and sushi bar. Established in 1992, Col’Cacchio pizzeria is a name that has become synonymous with traditionally inspired Italian food, including crisp thin based pizzas and an impressive variety of freshly prepared salads and pastas. Established in 1992, Col’Cacchio pizzeria is a name that has become synonymous with traditionally inspired Italian food, including crisp thin based pizzas and an impressive variety of freshly prepared salads and pastas. After 22 years Col’Cacchio pizzeria has 28 branches nationwide and still offers customers a dining experience of choice, health, passion and good quality food. The concept was born out of the founders desire to serve Italian-inspired food with a special focus on gourmet thin-based pizzas made from the freshest and finest ingredients. All dishes are made from scratch and freshly prepared for each order – there are no shortcuts. From gourmet pizzas and leafy green salads to gluten free pastas and bambini delights – there’s really something on the menu for everyone. Plus there’s plenty of entertainment for the kids. Find us at 33 Sawtooth Lane Thesen Harbour Town, Knysna. We will treat you to handmade breads baked in our wood-fired oven and other tasty meals. Restaurant is open for breakfasts from 10 am, bookings essential. Fully licensed. Spend the day on the river bank soaking up the peace and tranquility with friends and family while enjoying a pre-arranged deli picnic basket. Please phone to ordered picnics 24 hours in advance. East Head Café is more than just a café or coffee shop, it is a local landmark where family and friends have a good time with good food and casual wine. Situated on the rocks of the Eastern Head, East Head Café has the most spectacular view – looking directly through the Knysna Heads. East Head Café is more than just a café or coffee shop, it is a local Landmark where family and friends have a good time with good food and casual wine enjoying life. Situated on the rocks of the famous Eastern Head, East Head Café has the most spectacular view – looking directly through the Knysna Heads. 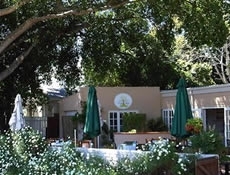 Shaded from the wind, Leisure Isle Coffee Shop invites diners to relax and soak up the tranquil surrounds enjoying loving cuisine and decadent teas. Leisure Isle Coffee Shop embraces the art of relaxation and leisurely cuisine in the picturesque Leisure Island of the famous garden route. They are best known for their consistently good steaks, but the seafood and chicken options are just as tasty. Vegetarian options are limited. 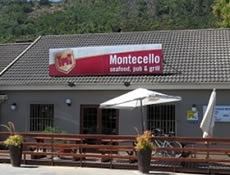 Visit Montecello for a family lunch or a break from your drive along the Garden Route. Either way, expect to have a great meal with the ones you love. Where great friends, good food and sticky fingers meet. 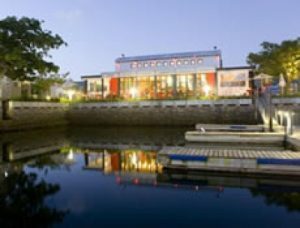 Located on the waters edge with an electric atmosphere this is the place for locals and visitors alike. 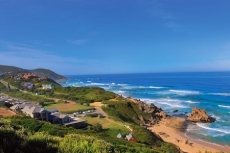 A “must do” when in Knysna. 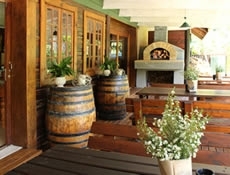 With weekly specials and many innovative ideas Tapas is the place to visit when in Knysna. A wide selection of world and South African Tapas style dishes will have you immersed in a sea of choices. Fresh oysters from our customised oyster tanks are served in many interesting ways. One such style is the “Chiquila Oyster” which won the “Best Oyster in Knysna” accolade at 2013 Pick ‘n Pay Oyster Festival. Situated on the majestic Knysna Lagoon and overlooking the world famous Knysna heads, the Drydock Food company offers guests the most enjoyable dining experience during their stay in Knysna. 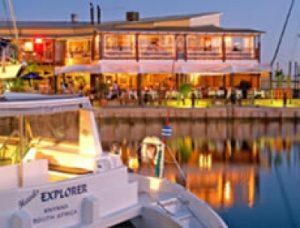 The lagoon side restaurant is situated on the water’s edge in the picturesque town of Knysna. For intimate lunches and dinners to large groups and tour groups , we have three separate floors to accommodate your every need. We offer a mouth-watering array of the freshest seafood, tempting salads, fusion cuisine and sinful deserts. Complementing this, you’ll find a range of the finest local and imported wines, beers and spirits. 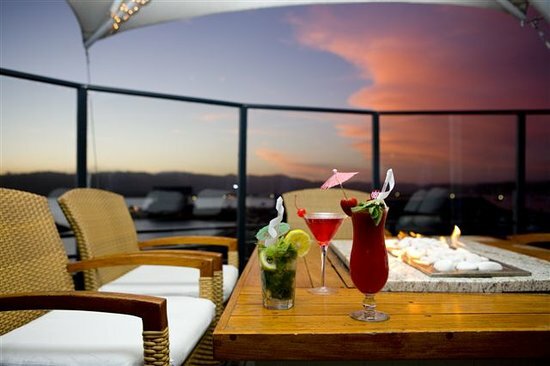 Take your time over a cocktail as you watch the sun sink slowly over Knysna’s tranquil lagoon.